A couple of days ago, I discovered artist Martin Ansin after I read this PopWatch article about his rendition of the Scott Pilgrim movie poster. 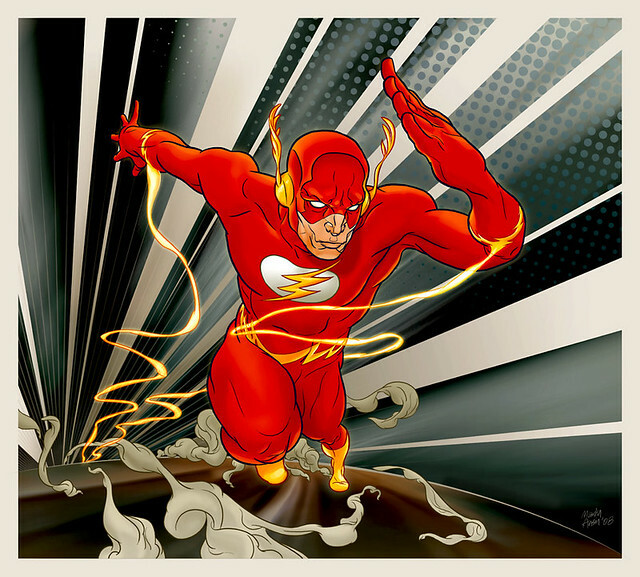 Doing a quick search for Ansin's other work, I discovered this trippy, ultra-cool image of The Flash. My interpretation: it's the Wally West Flash in a between the panels moment from Flash volume 2 #100, where he enters the Speed Force for the first time. Nuff Said!